In a return to the Mess About Let’s Plays, Jordan and I take a group of elderly people on a race against death. Literally. I’ll running more videos in the days to come so let us know what you think. For now, enjoy the Coffin Dodgers Mess About Lets Play! To set the scene, the Grim Reaper has arrived at Sunny Pines; a town seemingly populated by elderly people. He informs them that he’s there to take their souls, but the tough old boots aren’t ready to kick it quite yet, so they challenge him to a series of races for their continued existence. In the video, my brother and I take a look at the Story Mode, have a quick gander at the customisation of the mobility scooters and, as the video title suggests, just generally mess about. Having now completed the game, I’m working on the review as I upload this video. 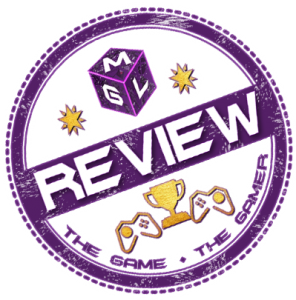 The review for the game will be live Monday, but for now, feel free to check out the other video game coverage we’ve done as of late, including our Battle Worlds Kronos review, A Few Things You Might Want to Know About Enter The Gungeon or a special preview of Grand Kingdom.